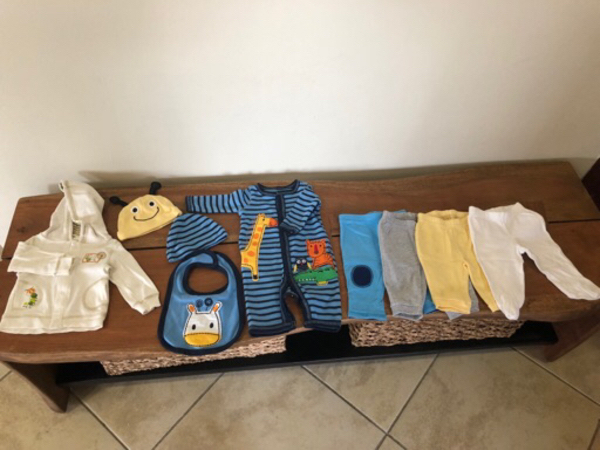 Used baby clothes (19 pieces). 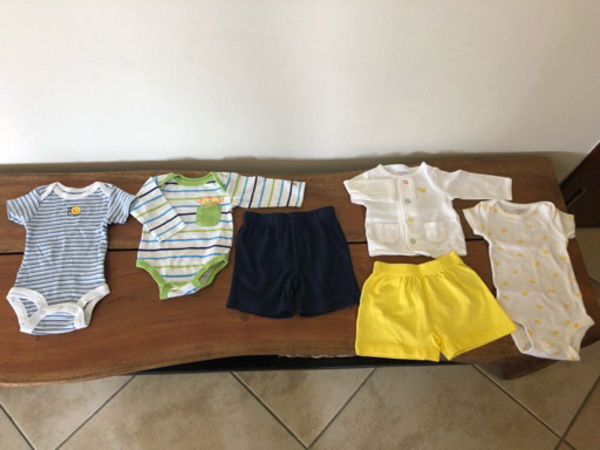 For new born and 0-3 months. 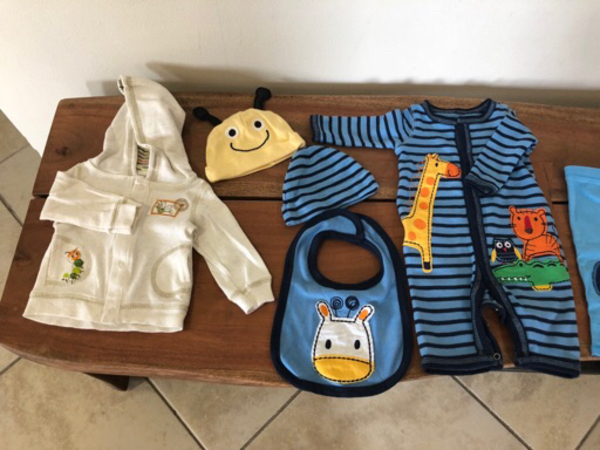 Brands Carter’s, Babies R Us and Mama’s & Papa’s.